A bestselling science fiction/fantasy author, speaker, and publisher, Chris Kennedy is a former naval aviator and elementary school principal. Chris's books include the Theogony and Codex Regius science fiction trilogies and stories in the Four Horsemen military science fiction series. Chris is the author of the award-winning #1 bestseller, Self-Publishing for Profit: How to Get Your Book Out of Your Head and Into the Stores. 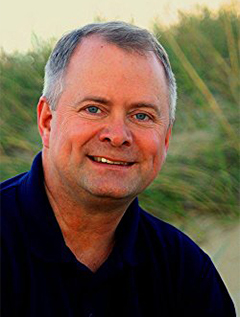 Called "fantastic" and "a great speaker," he has coached hundreds of beginning authors and budding novelists on how to self-publish their stories at a variety of conferences, conventions, and writing guild presentations, and he has published six authors under various imprints of his Chris Kennedy Publishing small press. Chris lives in Virginia Beach, Virginia, where he manages the curriculum for sailors learning to maintain the Navy's F-18 Hornet. He is the holder of a doctorate in educational leadership and master's degrees in both business and public administration.